The fascinating true story of Xavier Fortin — a father who took to the land with his two young sons for more than a decade — forms the basis of Cédric Kahn’s latest picture “Wild Life.” Fortin — here portrayed as Philippe “Paco” Fournier with great guile by Gallic stalwart Mathieu Kassovitz — is a desperate father to three sons, faced with the dismal prospect of a failing relationship and the death of his vision for an idealistic life living off the land. Kahn wisely steers clear of moralizing and judgement, instead choosing to focus on the nature and reality of Paco’s desire for a pure existence and upbringing for his boys and the circumstances that led to their flight to the hills. Kahn wastes no time in thrusting his audience into the midst of the fragmentation of Paco’s relationship with Carole (Céline Sallette) as she takes off from their caravan home with her young boys Tsali (David Gastou and Romain Depret), Okyasa (Sofiane Neveu and Jules Ritmanic) and Thomas (Tara-Jay Bangalter). It’s a fraught dissolution, with Paco seemingly taken by surprise that events have come to such a head, but it’s clear that the boys are caught in the middle. Kahn is evidently sympathetic to Paco’s plight, depicting him as a loving, doting father, victimized and neglected by French law which sides with Carole. His decision to abscond with Tsali and Okyasa is a consequence of this injustice, his hand effectively forced into taking such drastic action. As Paco and his boys settle into life on the run, the land and its beauty come to the fore. The very essence, purity and innocence of the unblemished land are captured beautifully by cinematographer Yves Cape, emphasizing that this existence represents a return to a way of life that prioritizes what really matters. This is sun-kissed, perfect world that makes chicken plucking seem aspirational, a million miles away from the overtly commercial lives that millions of others lead. Paco gives his boys the opportunity to live the life he always envisaged for himself; and so determined is he to preserve that chance that he weaves a decade long web of deception to ensure they remain hidden. Yet as the boys grow up, it becomes apparent that their aspirations and desires may differ from that which their father has imposed upon them. They are young after all; and — despite the apparent freedom they enjoy — they crave the freedom to live a normal life, a life they view with envy from afar and with the law closing in. It’s clear that something has got to give. And yet as the dream fragments, the loyalty, love and affection that Paco and his boys share is unbridled. Clearly Paco’s actions are selfish in nature, driven by love for his boys but also from an innate desire to give them (and himself) a life he has always imagined. Kahn rightly avoids conjecture about the rights and wrongs of Paco’s choices, but it’s clear that these are actions taken with scant regard for the consequences of denying Tsali and Okyasa access to their mother and brother for more than a decade. Paco is a flawed, almost tragic figure; but he is not without compassion. 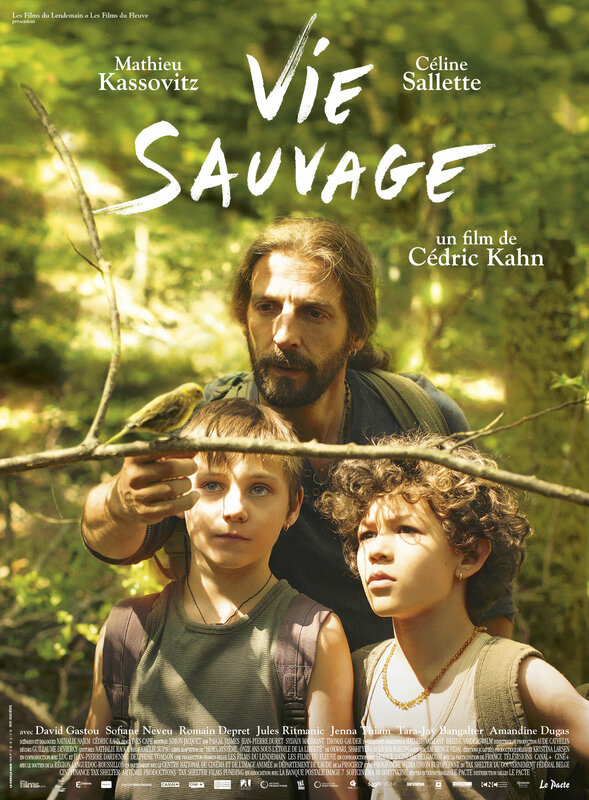 Kassovtiz does a tremendous job of lending Paco this sense of conflicted idealism, while Gastou and Neveu belay remarkable maturity in their turns as the young Tsali and Okyesa, respectively. Tonally Kahn finds balance in this difficult and emotive narrative; and the picture is all the richer for Cape’s stunning photography which lends the countryside its own sense of depth and character. There are minor issues — namely the somewhat jarring shift in timescales — but these are negligible. Ultimately “Wild Life” offers a compelling glimpse into the extraordinary lives of Paco and his boys, one that might equally be regarded as indicative of our inherent desire to live a life of real meaning or as a stark lesson into the pitfalls of pursuing a selfish dream that is to the detriment of those we really love.